Brent Taylor at Brentcom Realty Corp. is marketing for lease a fully fixtured restaurant location in the Van Leeuwen Centre, an established 60,000 square foot neighbourhood shopping centre in the Kanata area of Ottawa. Currently operating as a buffet restaurant, the 8014 square foot end cap unit is at the centre’s Hazeldean Rd. entrance. 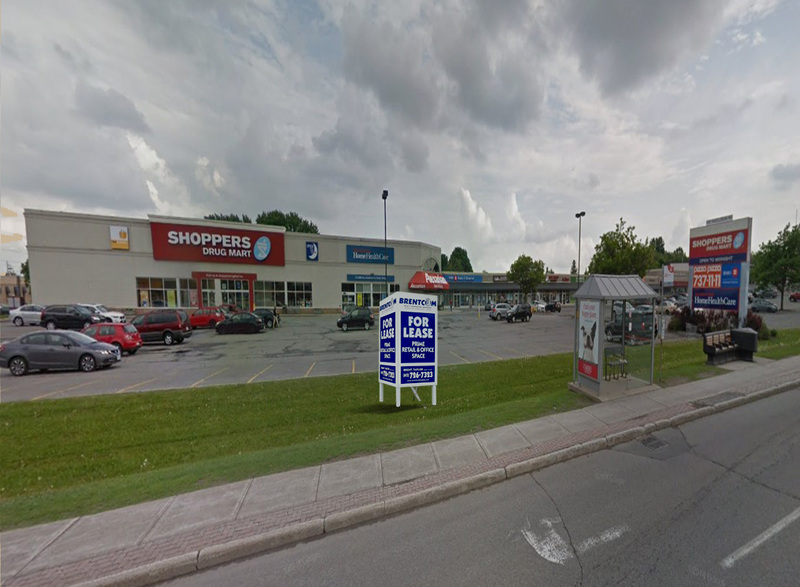 Located in the affluent and growing community, the Shoppers Drug Mart-anchored centre is at the Hazeleldean Rd. and Carbrooke St. intersection, adjacent to the Hazeldean Mall. Co-tenants include BMO, Alexanian Carpet & Flooring, Pizza Pizza, etc. The purchase of the restaurant furniture, fixturing and equipment can be negotiated. The unit can be subdivided, if necessary. Possession date is to be determined.